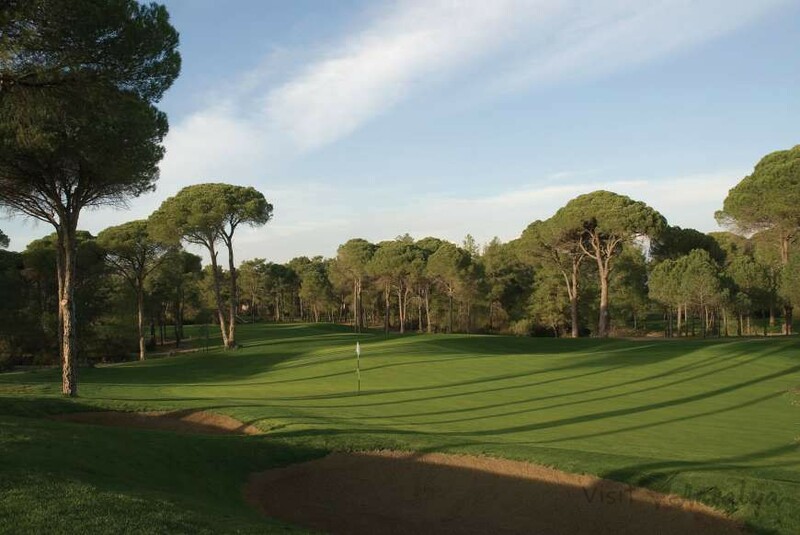 A very popular course, the 27 Hole Nick Faldo Championship Golf Course in Belek was opened in November 2006. Cornelia Golf Club is located on the eastern side of Belek in an excellent forest location, with a modern stylish design and first class amenities for golfers. It has been designed in a natural environment amongst big pines and natural sand sub oil. A broad dune ridge runs right across the course and is a major part of several of the holes, with elevated tees and greens on many holes. Typical of the Faldo design, there are several holes which require very careful consideration. This is definitely a thinking man’s course. Cornelia Faldo has already established itself as one of the must play courses in the area. The emphasis on course upkeep and management is obvious. The Faldo course is always in very good condition even in high season, and as it has 27 holes at least 18 are always playable. The clubhouse features a David Leadbetter Academy with a driving range (both sides use), 3 putting greens, 2 chipping and pitching greens, and separate practice areas for groups. Golfers playing at the Cornelia Golf Club Nick Faldo course also receive one free range token each.